Transform Your Bathroom! 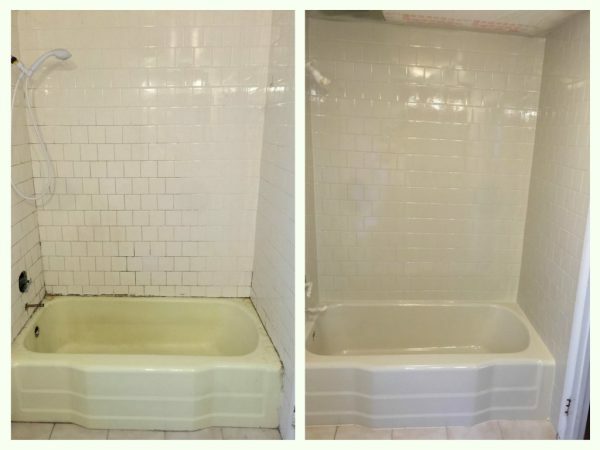 Refinish & Restore the Look of Your Tub, Sink, Shower, and Tile. Does your bathroom feel old and dingy due to spots and scratches, outdated colors, or general wear and tear? Refinishing is the answer! Refinishing is the best way to breath new life into your space when you don’t have the time or money for a complete replacement and remodel. At Bay State Refinishing & Remodeling of Boston, we’ve been providing premium refinishing services since 1999. Our team is fully licensed, bonded, and insured and we’re dedicated to delivering incredible results. You’ll love our high level of customer service, environmentally-friendly methods, and award-winning craftsmanship. 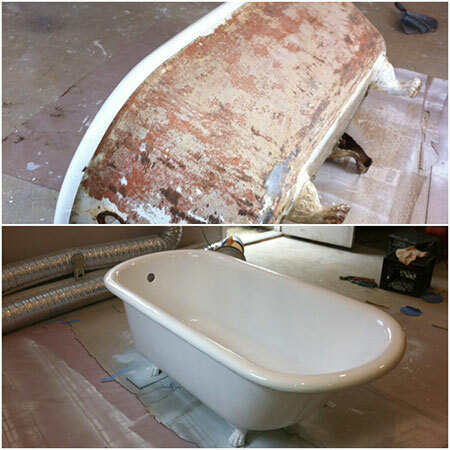 Restore your bathtub to like-new condition. A cheaper and faster option than a bathtub replacement! Whether you want to update and modernize the look of your tub or completely change its color, we can help. Give your tile a fresh and clean look with our proven tile reglazing services. Even if your tile is in good shape, tile reglazing is a cost-effective method for updating outdated tile color. Over time, sinks lose their shine and develop water stains, scratches, and cracks. 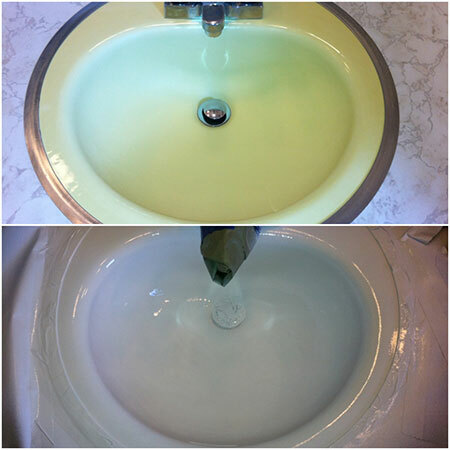 Our sink refinishing services are simple, quick, and beautiful! Plus, when properly maintained, your refinished sink can last for years. When your shower is too old, dirty, and damaged to be safe for use, it’s time to consider refinishing. Our shower resurfacing doesn’t look like paint. 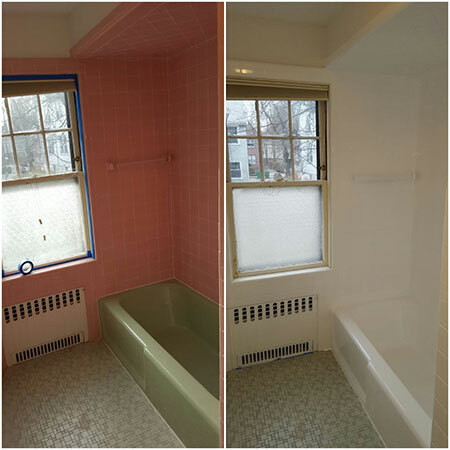 You won’t be able to tell the difference between the finished product and a brand new shower! Do You Have a Commercial Refinishing Project? We’re always looking to partner with businesses to deliver incredible results. At Bay State Finishing and Remodeling, we use careful preparation followed by a proven 6-step process to ensure your project is a success. From the initial estimate to the moment your project is complete, our goal is to make the process efficient and smooth. Our careful process allows us to complete your refinishing project in as little as 4 hours! Plus, you’ll be able to use your bathroom again within 24-48 hours. If you need an even faster solution, we also offer a First-Class Refinish for the ability to use your tub, sink, or shower within a few hours of completion. Many refinishing companies advertise from out-of state and send subcontractors to your home that they’ve never even met! We’re locally-based and know every member of our team. 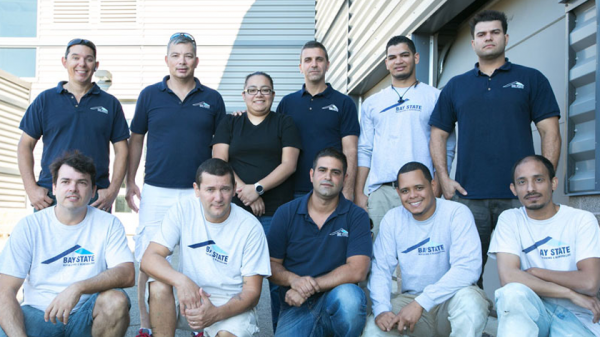 When you work with our refinishing team, you’ll always receive exceptional service and results. We guarantee it. Do You Offer Refinishing Services Near Me? We provide refinishing, resurfacing, and reglazing services throughout the Boston metro area such as Arlington, Belmont, Brookline, Cambridge, Natick, Needham, Newton, Somerville, Waltham, Watertown, Hingham, Stoughton, Mansfield, Milford, Marlborough, Acton, Billerica, North Reading, and Beverly. We frequently provide services in other areas such as Bedford, Concord, Dover, Lexington, Lincoln, Needham, Somerville, Wayland, Wellesley, and Weston. We can refinish most types of bathroom surfaces, including porcelain, fiberglass, and tile. If you’re not sure what kind of surface you have, or if you need another type of surface refinished, give us a call. How Long Does a Refinishing Project Take? Not long at all! Our clients are always surprised by how quickly a finishing, resurfacing, or reglazing project can be completed. For example, a bathtub refinishing takes just 4 hours to complete and can be ready to use again in just 24-48 hours. Will My Refinished Tub, Shower, Sink, or Tile Last? Yes! A quality Boston resurfacing company can be difficult to find, but with us, you’ll only receive the highest quality and the most technically-advanced, environmentally friendly coatings on the market. Our application methods exceed industry standards and with proper maintenance will last for years to come.